This game is named after Diavolo, (note: the spelling is different) a performer who first did a Loop the Loop in 1903 at Madison Square Garden according to one source or The Empire Theatre and reported by the Bradford Daily Telegraph, according to another source. This machine also appears in a 1904 Caille Brothers catalogue indicating that Caille distributed the game. 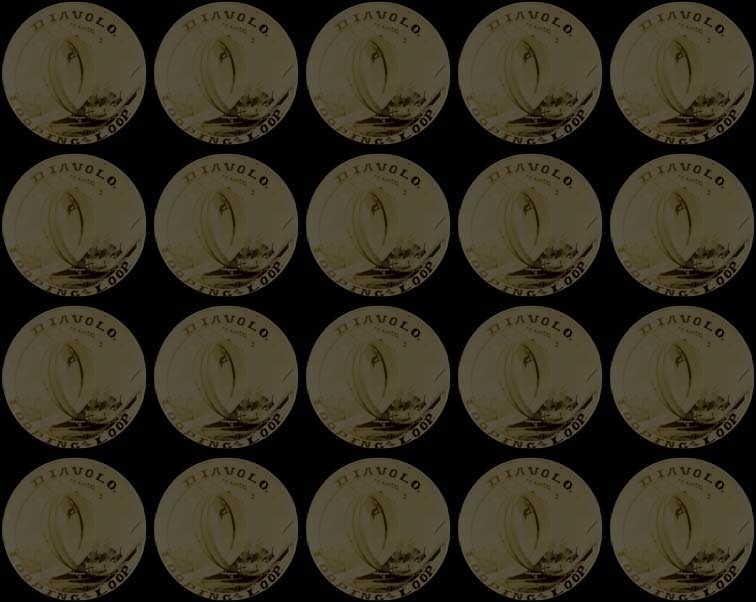 The markings on the machine show that Mercer Mfg. Co. was the actual manufacturer. 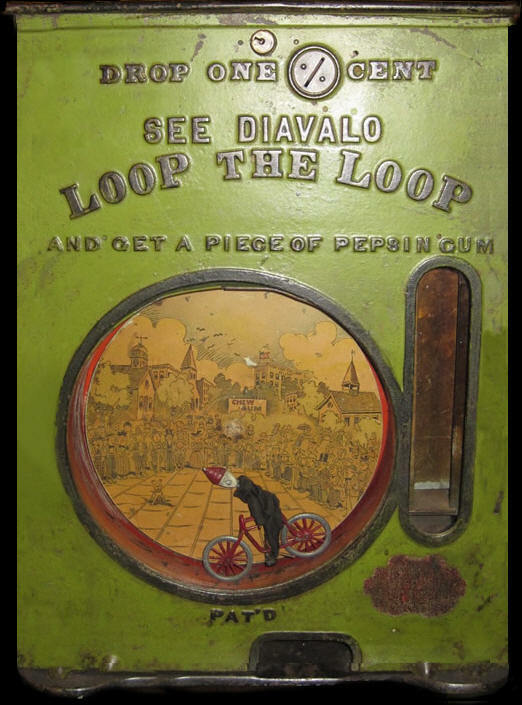 Mercer Novelty Co., the See Diavalo Loop the Loop maker, released 3 different machines in our database under this trade name, starting in 1904. Diavolo was the man who first "looped the loop" at Madison Square Garden according to The Pictorial History of American Circus. 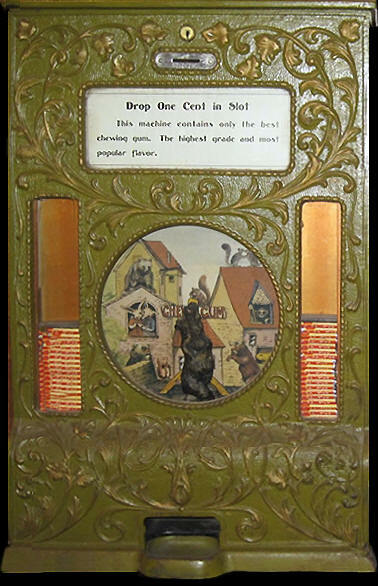 Obviously that feat inspired the gum machine which was manufactured by Mercer Company and distributed by Caille in 1904. A few years later, Caille manufactured a similar machine called the Teddy Bear.